Scottish Premier League side Patrick Thistle have captured former player Chris Erskine on loan for the rest of the season. The 26 year old Scott joined Dundee United from Thistle last summer, but since the move has only played in the league four times, scoring only once in the sides 4-0 win against St Mirren. 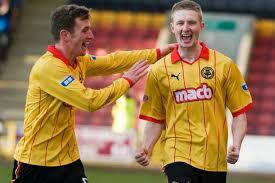 Erskine is a fan favourite at Firhill having played 165 games and netting 35 times. The midfielder was also key in the side’s promotion and championship winning season last year playing 44 games and scoring 16 times. Previous articleReading 7-1 Bolton – A Push for Promotion?